Fr. John Hardin, O.F.M. has served as the fifth executive director of St. Anthony Foundation, a nonprofit social service organization serving the needs of San Franciscans. Fr. John was mentored by St. Anthony’s founder, Fr. Alfred Boeddeker and felt called to continue the work Fr. Alfred had started. 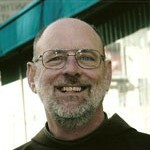 As executive director, Fr. John is able to continue to sustain the community by leading the foundation in its social service, justice education, and advocacy programs. A leader in the community, Fr. John strives to build bridges between San Francisco’s corporate, government and nonprofit sectors, creating rewarding opportunities for the community to work collectively. He is member of the 10-Year Planning Council to end chronic homelessness, Homelessness Coordination Committee, and Health Care Task Force. Dr. Rev. 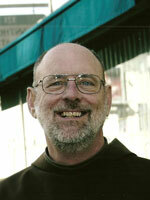 Stephen Privett, S.J. 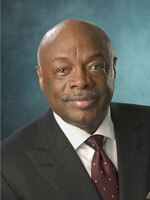 is the 27th President of the University of San Francisco. He also serves as a trustee at Schools of the Sacred Heart, Seattle University, and Universidad Iberoamericana in Mexico City. 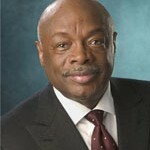 He is also a member of the Board of Governors of the Commonwealth Club of California, Board of Directors of the American Council on Education, Association of Catholic Colleges and Universities, Public Architecture, and the Fromm Institute. 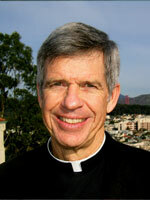 He entered the Society of Jesus in 1960 and is a graduate of The Catholic University of America, the Jesuit School of Theology in Berkeley and Gonzaga University. 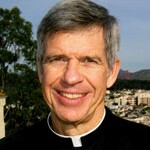 Prior to his appointment at USF, Father Privett served as provost and academic vice president at Santa Clara University. Throughout his career, Father Privett has demonstrated a commitment to “wholeperson education,” a traditional hallmark of Jesuit education. On January 4, 2007, Father Privett was invited and delivered the Congressional Invocation at the opening of the 110th United States Congress and the inauguration of Rep. Nancy Pelosi as Speaker of the United States House of Representatives.